Henry Daniels is one of the gentlemen in this photo, but it isn't known which one. 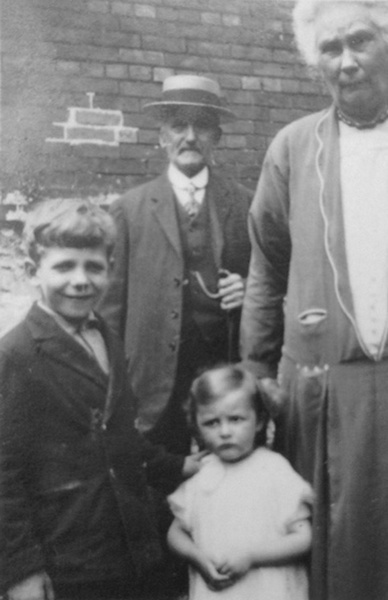 "Sidney Inkermann Daniels was born on August 23, 1886, in Imber, Wiltshire, one of 12 siblings born between 1881 and 1902. His father was an Imber shepherd called Henry Daniels and married his mother, Elizabeth Alice (Smith) in 1879. 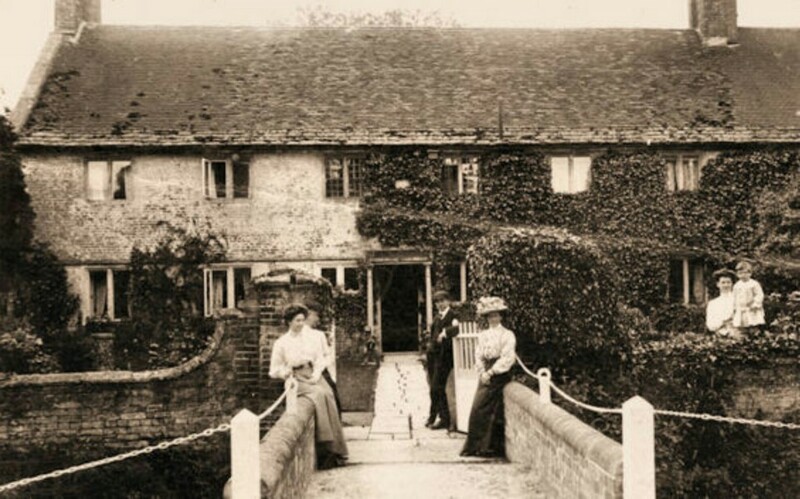 Sidney was described by his descendants as living at Bush Farm, West Lavington at age 4 and then Alma Cottage, Church Street, Imber when he was 14 and working as a stable boy. 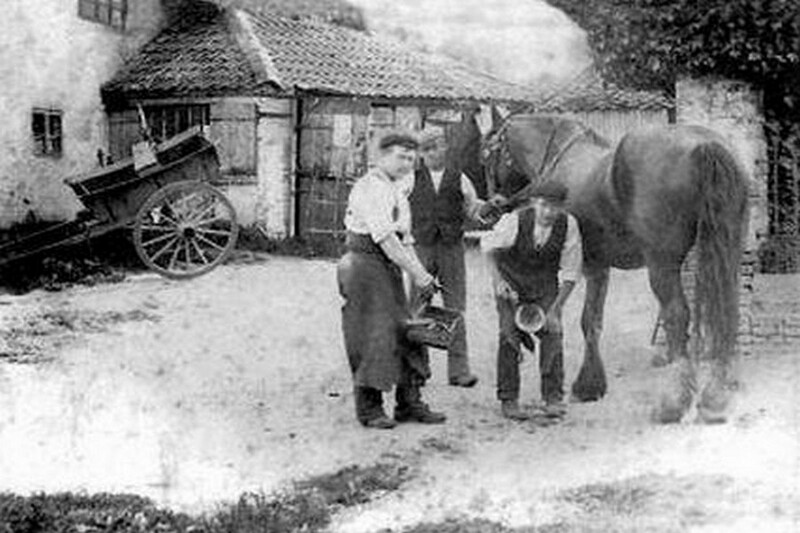 In January 1905, the 18-year-old Sidney enlisted in the 1st Battalion, Duke of Edinburgh’s Wiltshire regiment, at Potterne, Wiltshire. 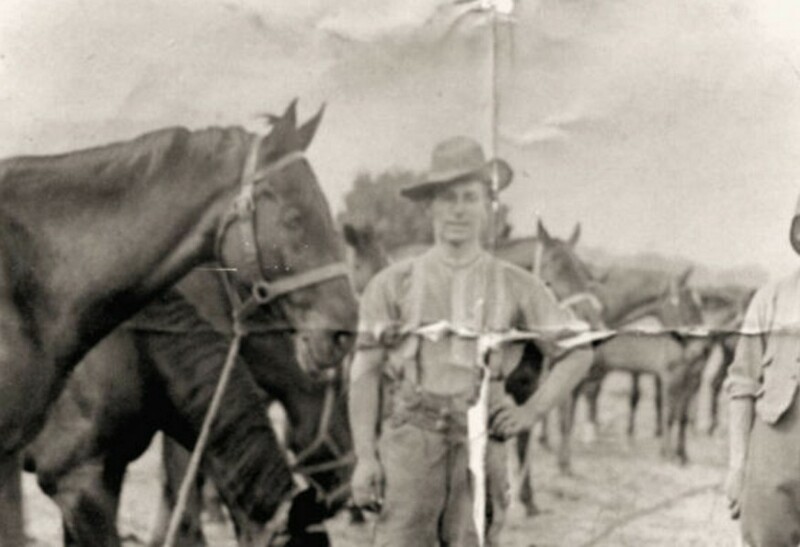 In the 1911 census, the 24-year old Sidney was listed as a Lance-Corporal in the Wiltshire Regiment, based in Pietermaritzburg, Natal, South Africa. 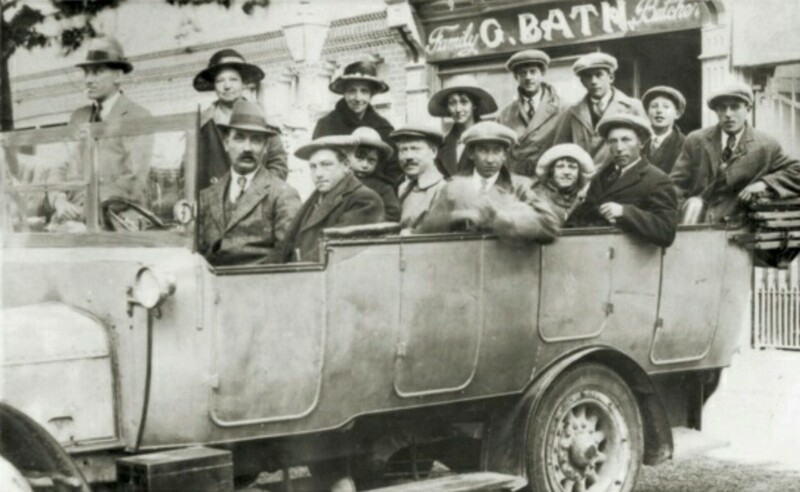 1st Battalion was garrisoned in Pietermaritzburg from 1909 to 1913. He married Elizabeth Frances (Beard) on November 28, 1913. 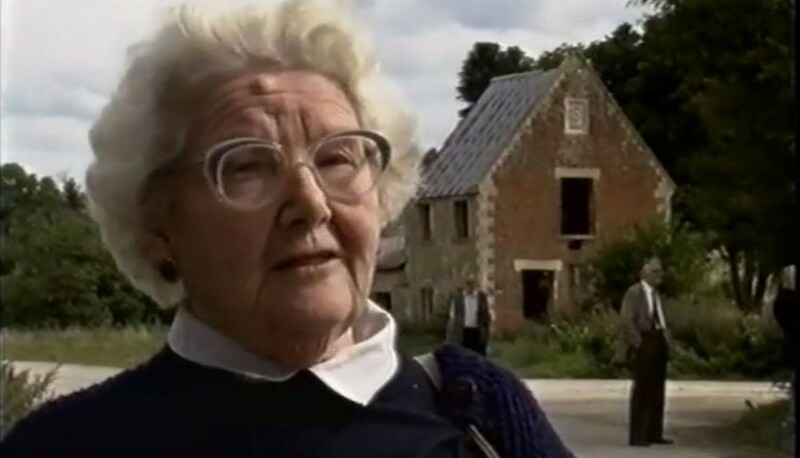 By this time, Sidney was described as having left the army and was working as a nurse at an asylum near West Lavington (probably Fiddington House). 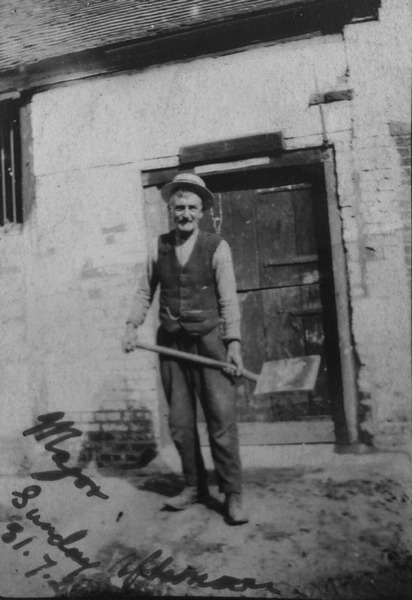 By March 1914, Sidney was listed in the London Gazette (3rd April, 1914) as having obtained a Civil Service Commission (Post Office) as a Postman, in Birmingham. With the outbreak of World War I, Sidney rejoined the 1st Wiltshire Regiment as it mobilised at Tidworth in early August 1914. By 14th August, he was in France and moving north towards Mons, Belgium as part of 7th Brigade, II Corps. He fought in seven battles between August 24th 1914 and October 25th 1914: the Battle of Mons, the Rearguard action of Solesmes, the Battle of Le Cateau, the Battle of the Marne, the Battle of the Aisne, the Actions of the Aisne Heights and the Battle of La Bassée. 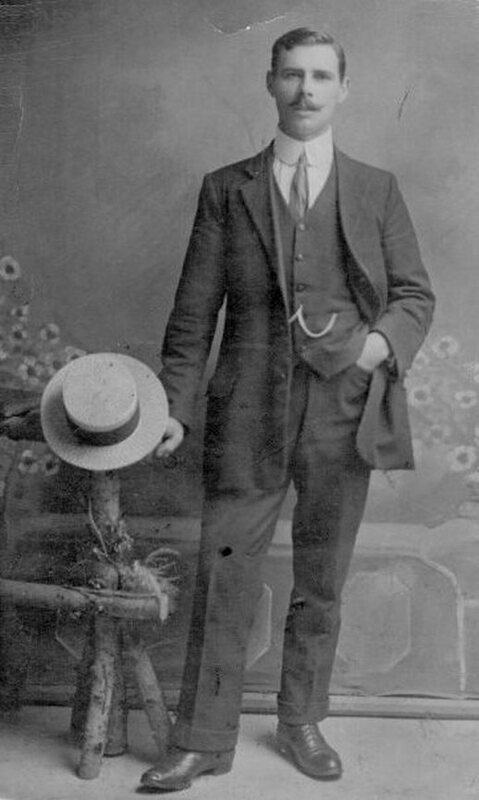 He was killed in action on October 25, 1914, during the Battle of La Bassée, at Neuve-Chapelle, in France, at the age of 28, and was buried in his trench. 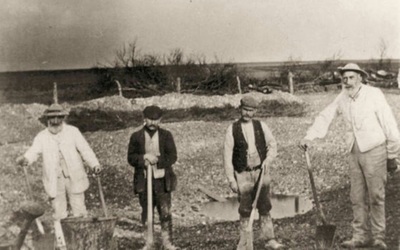 His grave was subsequently lost, either in the fighting that raged for a further week after his death or the later battle that occurred in that area in March 1915. 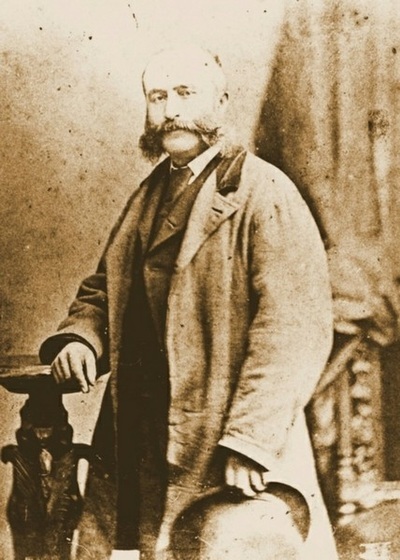 He is memorialised with an inscription of his name and rank on the Le Touret Memorial, Panels 33 & 34. 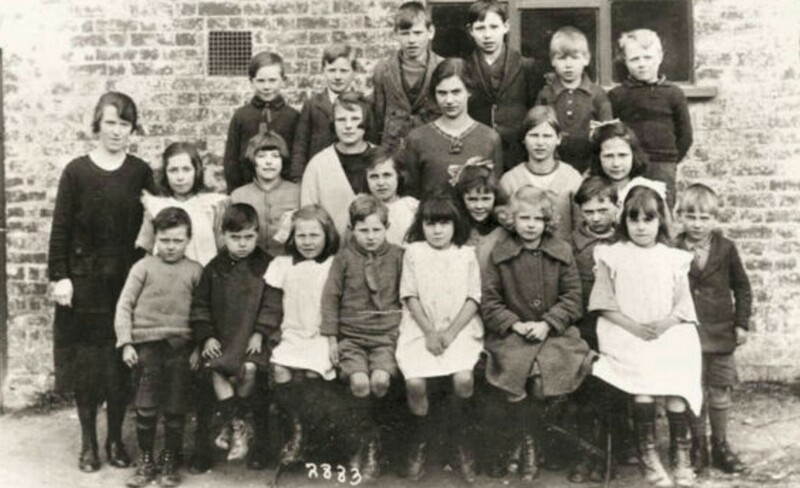 Sidney and Elizabeth had one child during their marriage, also called Sidney Inkermann Daniels, born on 16th November, 1914, three weeks after his father had been killed." Albert Nash, Imber's blacksmith, was found weeping over his anvil following the announcement that they must vacate their beloved village, and he didn't live for long afterwards, many have said that he died of a broken heart. 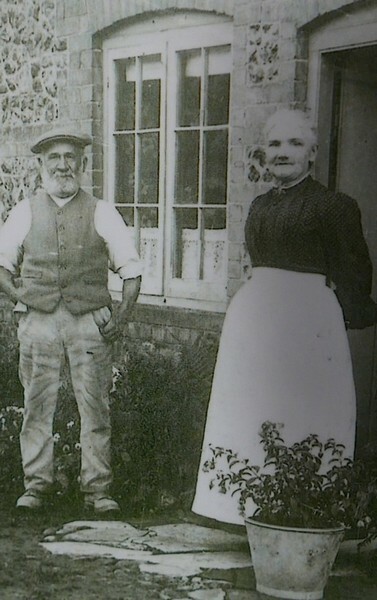 Albert and his wife Martha's grandaughter recounted that just six months after they had to leave Imber Martha woke in the middle of the night to find him walking about the bedroom. 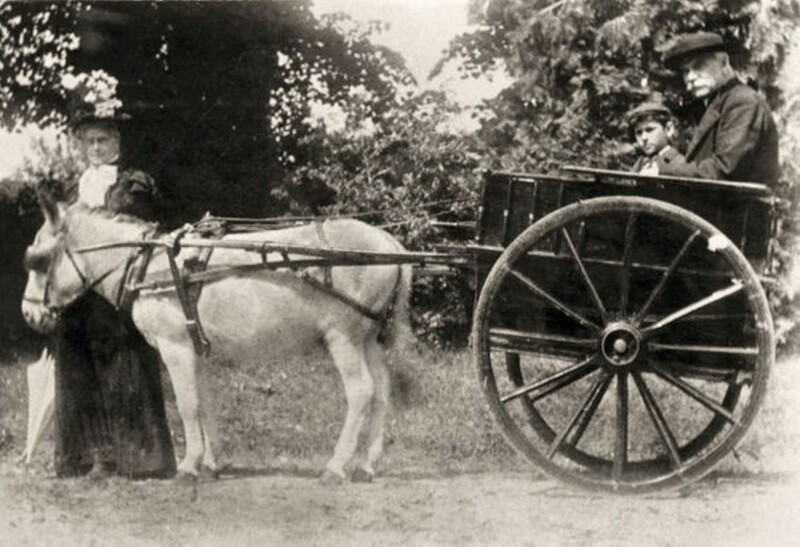 She asked him what he was doing, he said he was going home. Martha told him he was home and to get back into bed, which he did, but in the morning she woke to find him dead beside her. 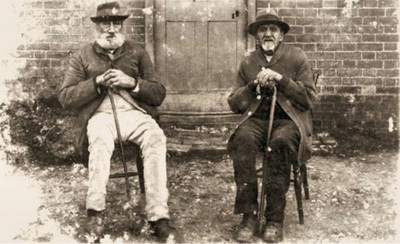 Albert Nash, left, Imber's last blacksmith, right James Staples, who was then the blacksmith. Albert Nash fixing a cart wheel. 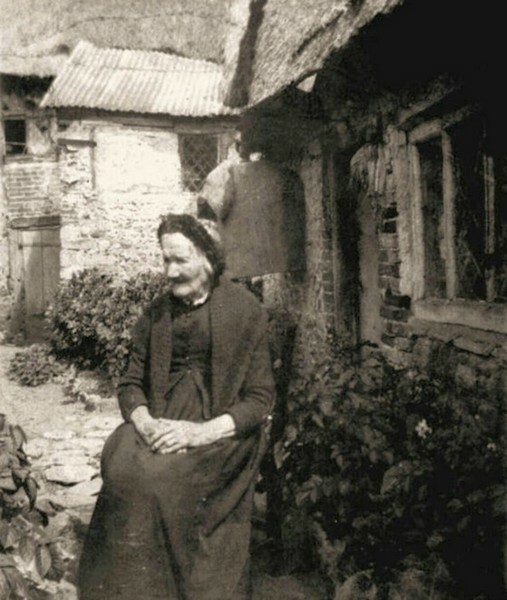 Anne (granny) Staples, pictured outside her cottage. 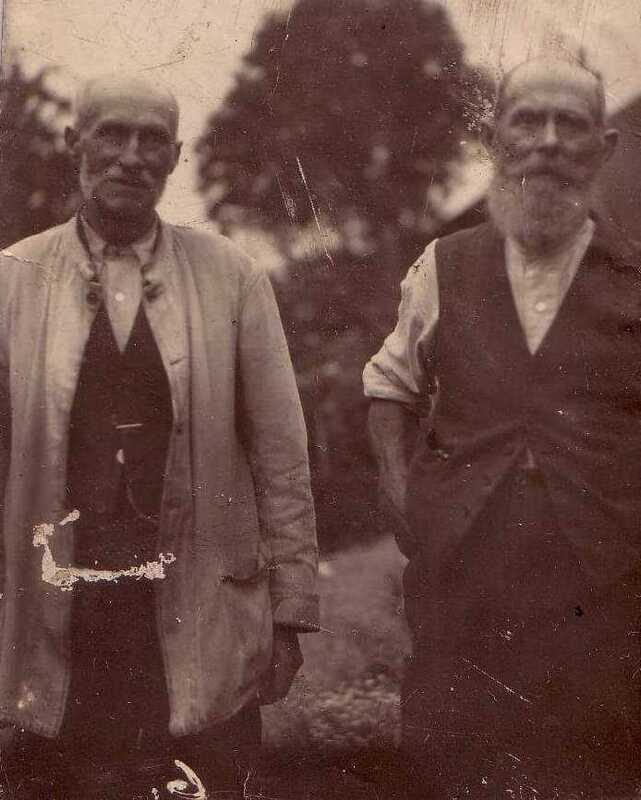 Charles White and Joel Cruse they were dew pond makers - ponds built to catch rainwater for Imber's many sheep. 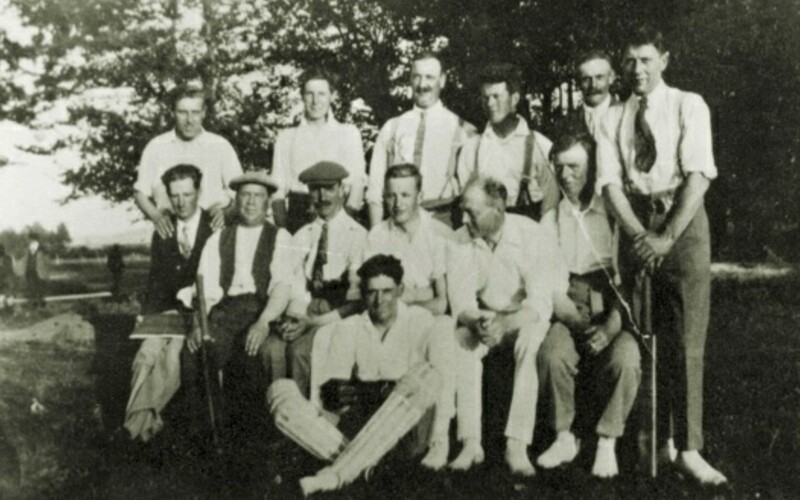 Imber Cricket Team pictured in 1929. In the back row, left to right: Stuart Carter, Dennis Wyatt, Frank Carpenter, taffy Watts, Jim Found, Wilfred White Centre row: Harwood Daniell, Buffy Meadon, Arthur Goddard, Wallis Dean, Major R Whistler, Tom Daniel. 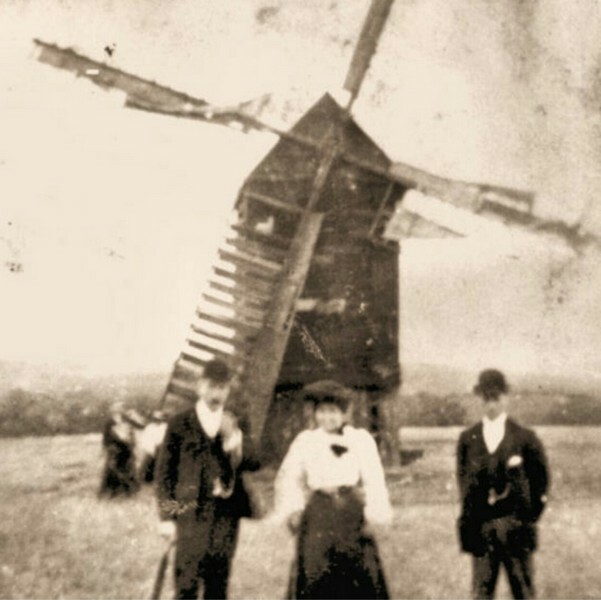 The Cruse family, with their windmill at Imber. it's long gone from the skyline. 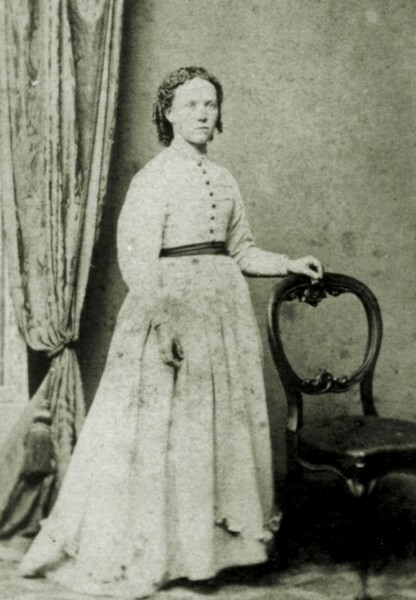 Elizatheth Cruse, who was the wife of John, and mother of Henry and Joel. Frank Dean who served in the Second South African War with the Imperial Yeomanry, discharged injured. 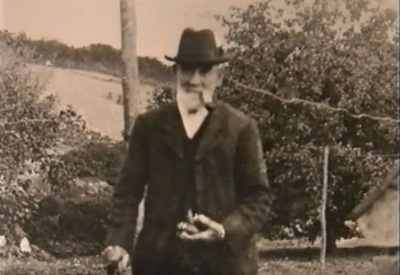 Henry Cruse, the last surviving of the 'Peelers' as the police were originally known. 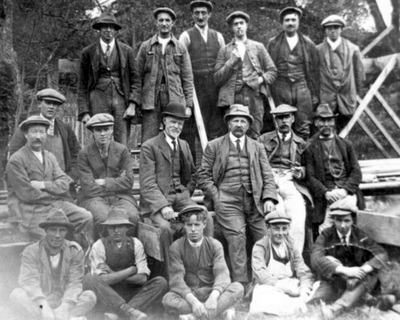 This is the crew that rebuilt Imber Court after the fire that nearly destroyed it. James and Edith Daniels, pictured outside their cottage in 1920. Joel Cruse and his wife Elizabeth, they died within nine days of each other in 1923. 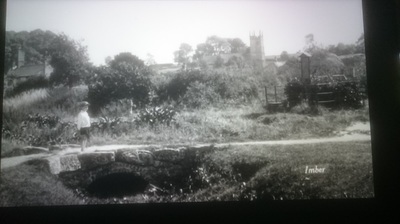 Jabez Earley, one of the dew pond makers of Imber. 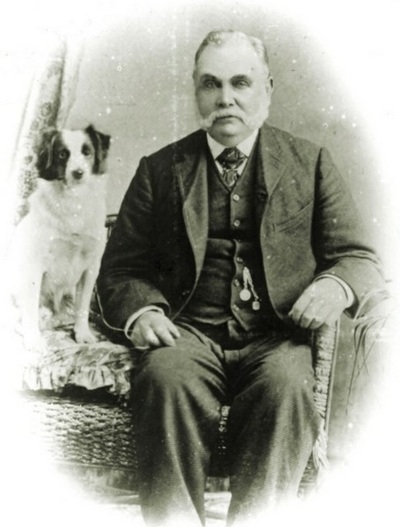 John Cruse 1811 - 1882, dewpond maker. 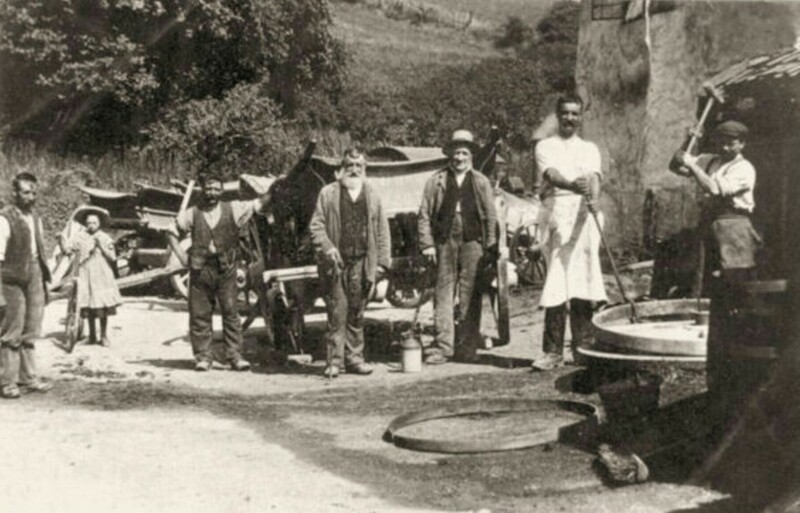 John Cruse, Jim Earley, William Carter, and Charles White, dew pond makers. 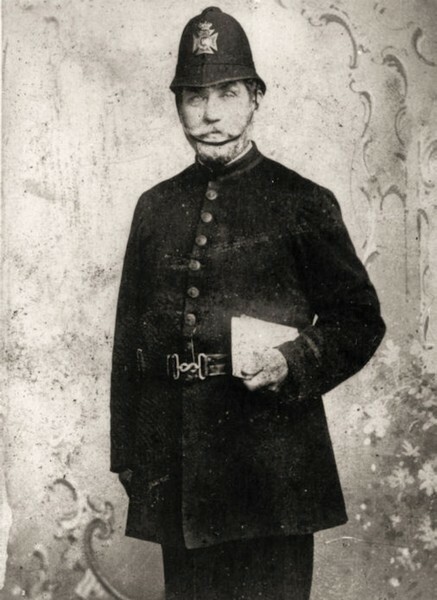 John Cruse, born in Imber in 1835, he joined the Somerset Constabulary. 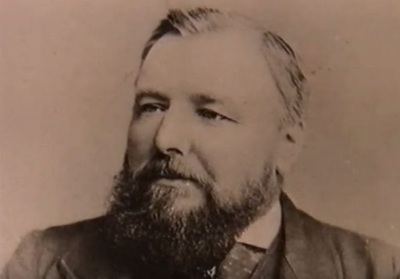 John Tucker, 1832-1882, with his family he ran an 'Academy For Young Gentlemen' from the Imber Court. 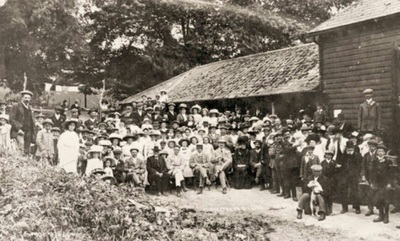 The Imber villagers celebration at Imber Court Farm for King George V Coronation in 1911. 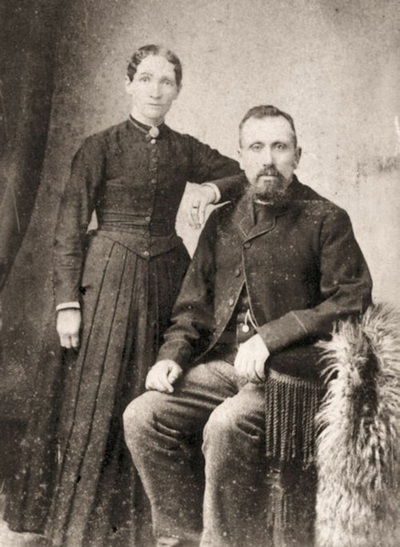 Mr and Mrs Andrew Davis, he was a Baptist deacon, photographed in 1886. 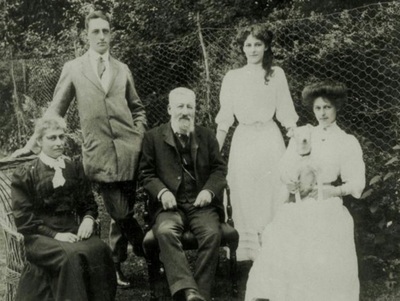 Mr and Mrs Edward Dean, who lived at Imber Court with son Thomas and daughters Gladys and Kathleen. 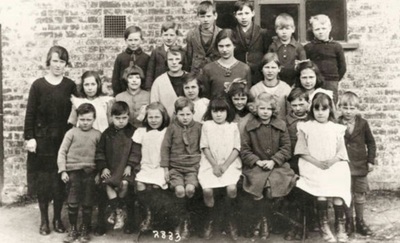 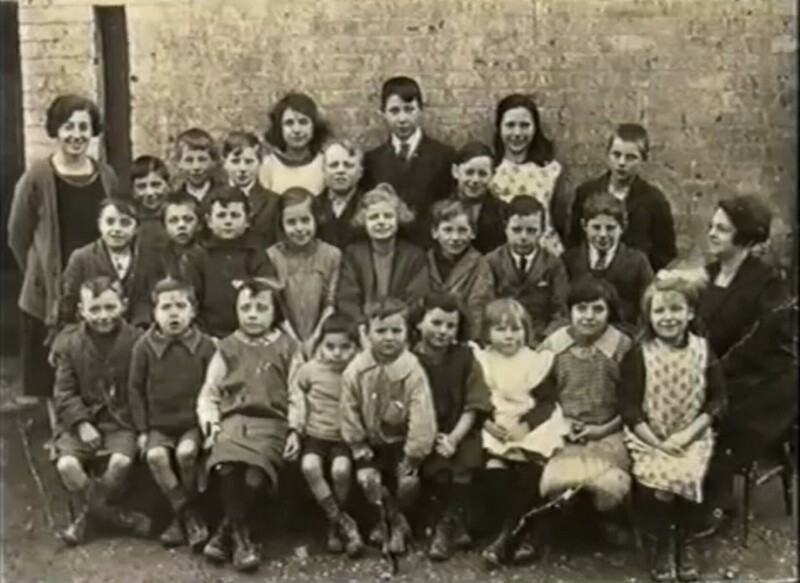 School children outside the surviving school. A travelling evangelist visits Imber. 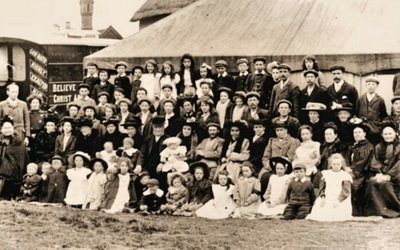 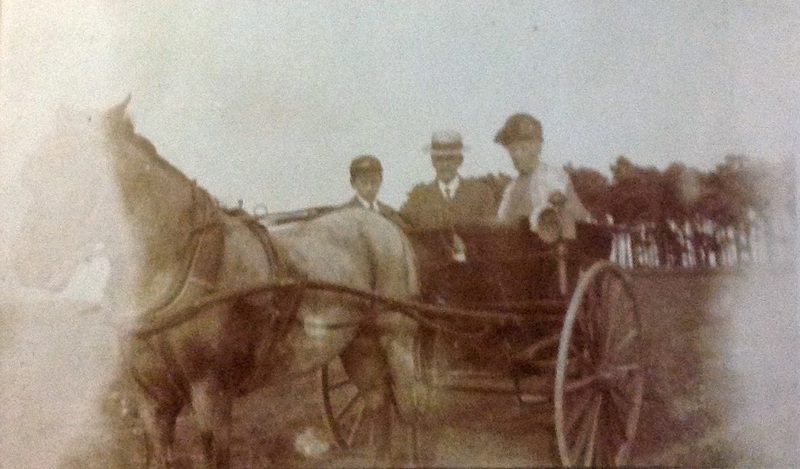 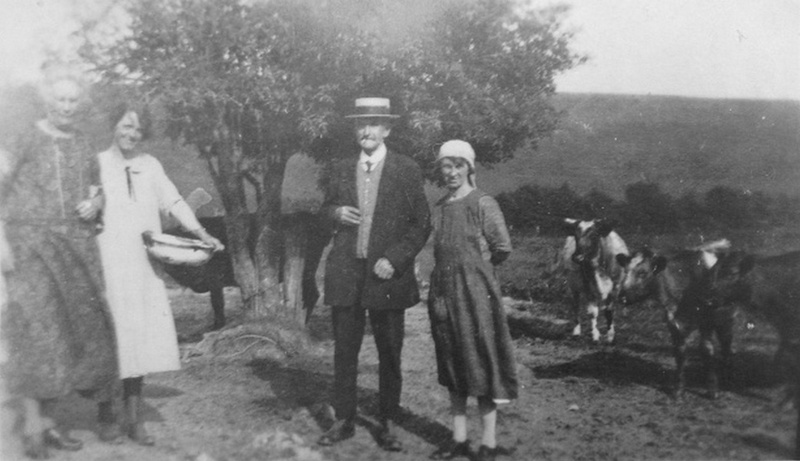 The Dean family, tenants of Seagram's Farm, photographed in 1912. 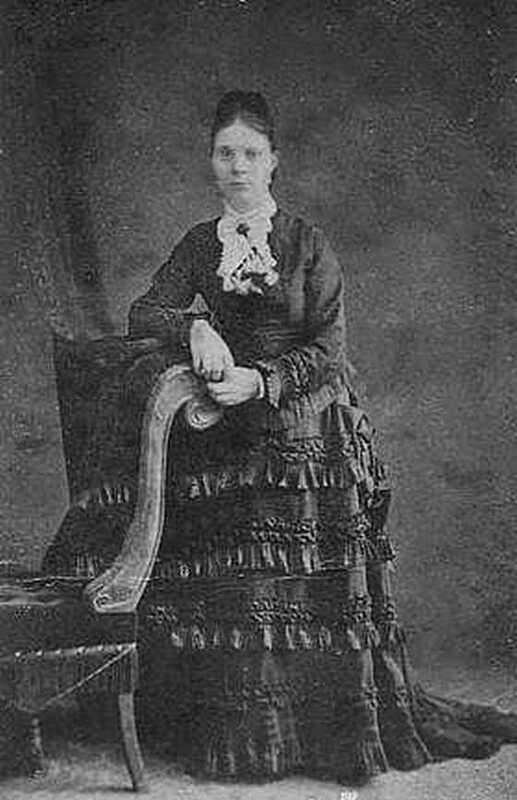 Molly Archer-Smith (nee Dean) who was born in Seagram's Farm. 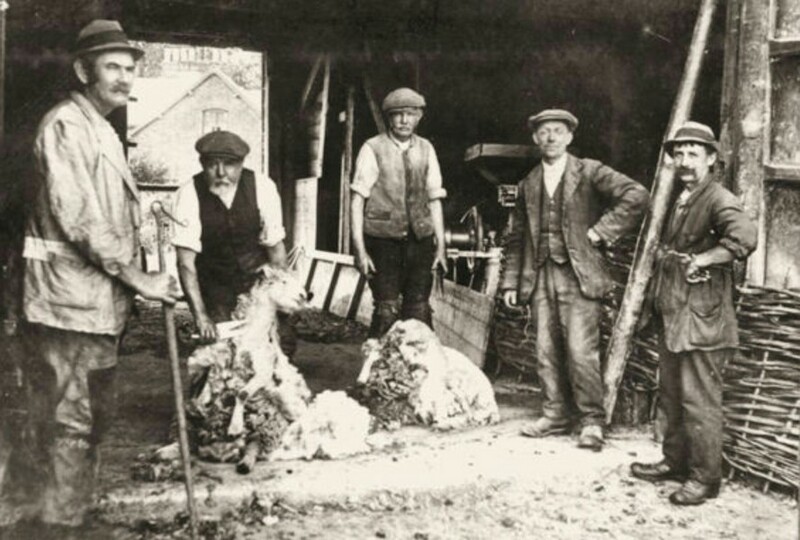 Shearing Sidney Dean’s sheep in 1919. From left to right are Silas Pearce, Harry Meaden, Albert Daniell, Enos Matthews and Harry Marsh. 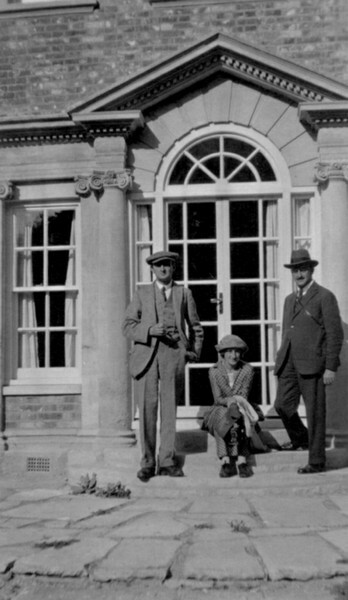 Sir Henry Holloway with Stella and Ernest Holloway, outside the front door to Imber Court. 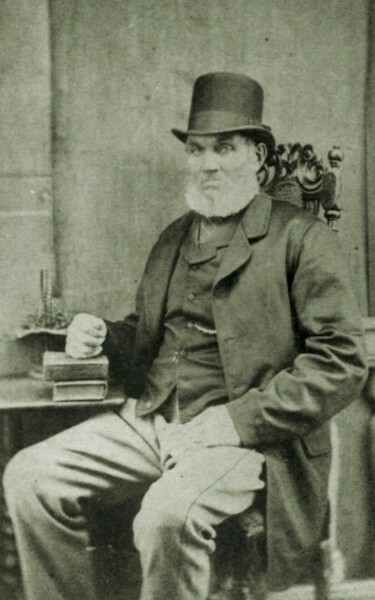 The Reverend James Hugh Pearson, he was the vicar of St Giles from 1885 to 1889. 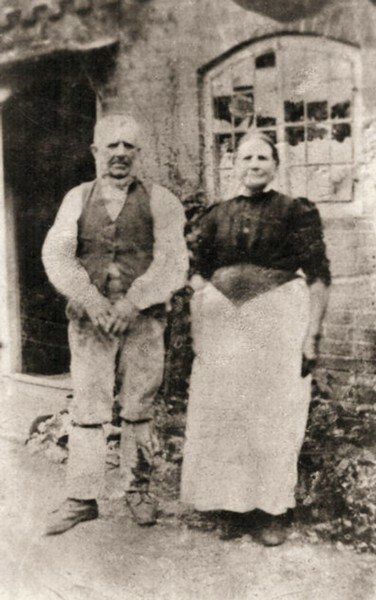 Pictured here with his Housekeeper Mrs Payton, and his ‘garden boy’, whose name is not recorded. 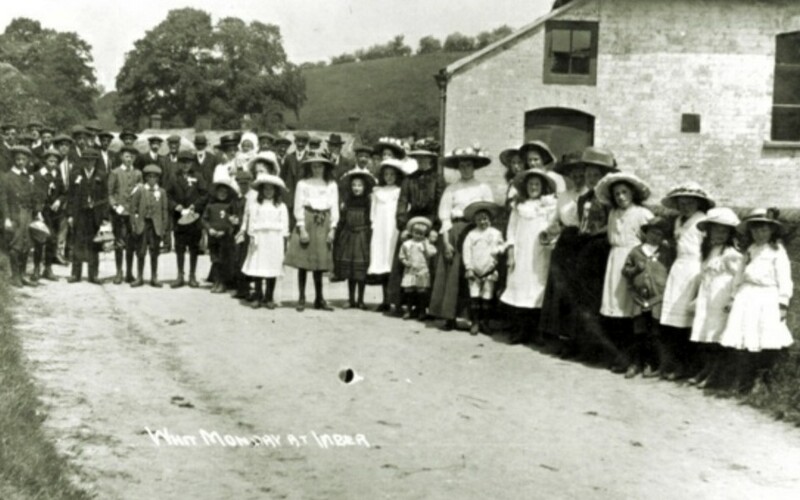 Whit-Monday outside St Gile's school. 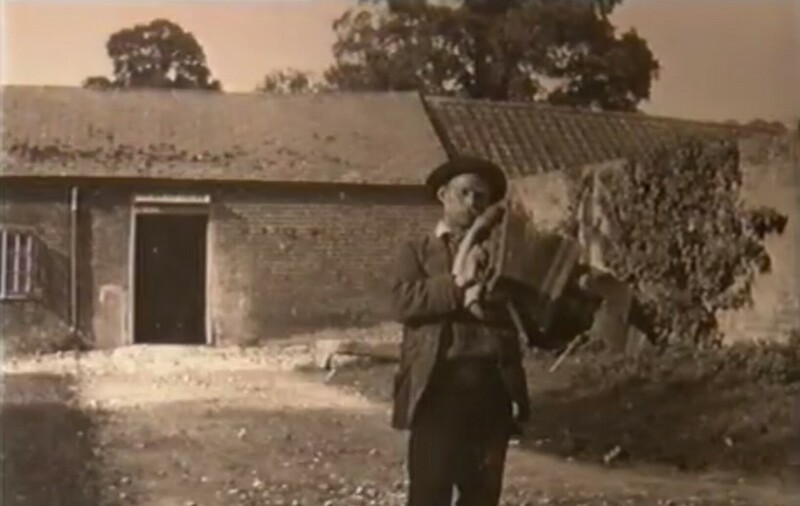 Luther Baverstock, 31 July 1927, South Down Farm.